Restaurant “C’era una volta” (that is: “Once upon a time”) begun its long life in 1919, September 11th, when Mr. Cesare Mugnaini, owner of the building, had a grocer’s license and the shop was ‘the’ shop of Lucardo village. In 1939 Mr. Mugnaini gained a second license as ‘Pubblica Bettola’ (more or less Pub & Shop) and for selling hunting goods. An year after Mr. Arturo Poneti was charged of the management, and now this ‘Bettola’ served also simple meals in rare events. The continuity of this service started after World War II, when lots of people were employed in the reconstruction of houses and roads in the area and needed cheap meals. “We had no menu in that period”, Mr. Tigellio Poneti, Arturo’s son, says, “people ate what was available in our kitchen-garden, and as meat: rabbit, chicken and boiled meat”. 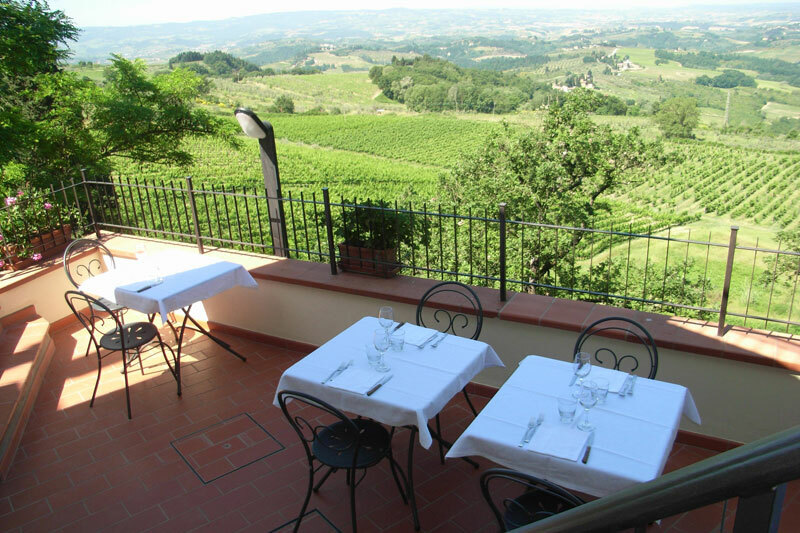 This situation continued until Mr. Tigellio Poneti handed over the management to Conticelli family in 1987, who transformed this Trattoria in a real restaurant as meant today in Italy. Isabella Neerman and Luigi Nesi were the following owners, till 2004 when Paolo Pucci and Gaia de Claricini bought the restaurant. Paolo and Gaia have decided to give the place a familiar, cosy and warm style, where the guest can feel at his own home. Dishes are supposed to be more substantial than decorated with frills, and descend mainly from Tuscan tradition, made with fresh ingredients (often picked up the same day). You can find in fact wild mushrooms and asparagus, homemade jams and mixed vegetables in oil, courgettes, zucchini blossoms, tomatoes and other products from our own production: because of this the menu changes depending on seasons and on what good and fresh ingredients market and butcher have got.